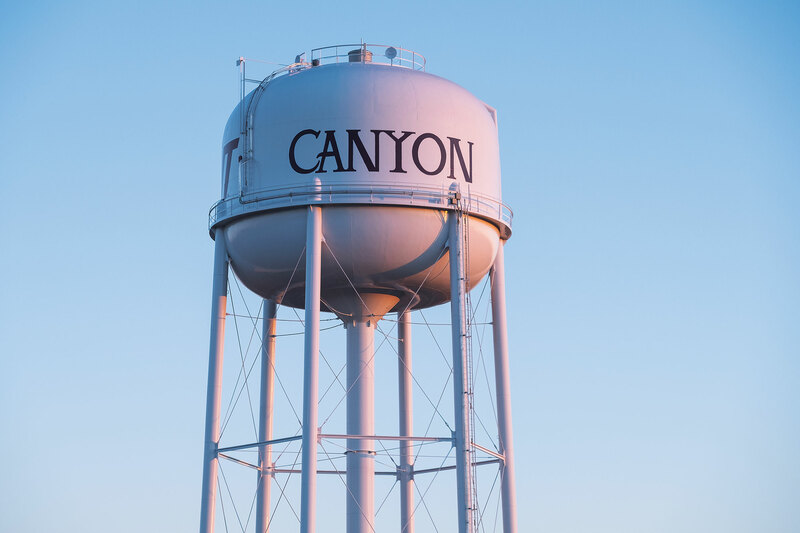 Your first time in Canyon, you’ll be forgiven for wondering where this Panhandle community of about 15,000 gets its name. Heading into town, you pass beehives from a local honey farm, the sprawling campus of West Texas A&M University, and tidy brick houses. What you won’t see is anything resembling a canyon. 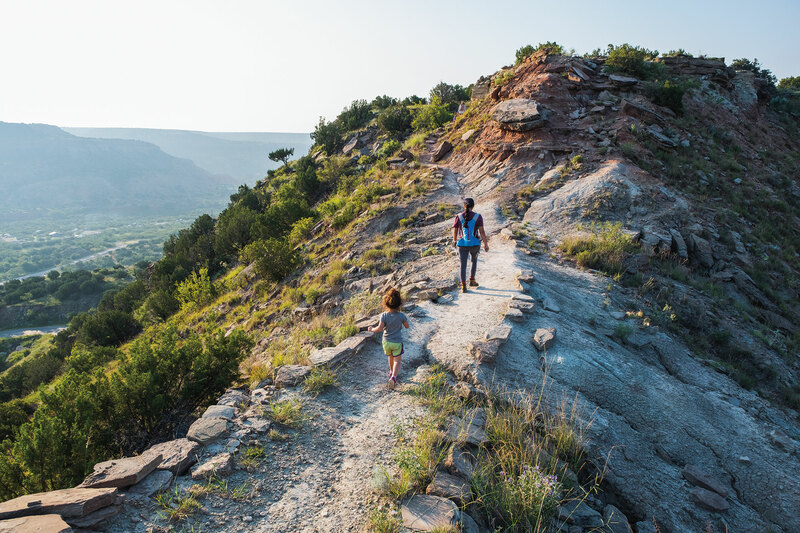 The spectacular, 120-mile-long Palo Duro Canyon punches into the flat plains east of the city. It’s the second-largest canyon in the United States, but remains hidden until you reach its rim, where the ranchland drops into dramatic red, yellow, lavender, and white cliffs marked with hoodoos and caves. It’s one of the most majestic places in the state. But tucked away in the Panhandle, this state park keeps a relatively low profile. The same could also be said of the city itself, which has long lived in the shadow of Amarillo, its larger neighbor. Palo Duro Canyon State Park offers tent and RV camping on the canyon floor across a variety of sites with hookups (806-488-2227). For rim views, choose Palo Duro Rim RV (806-231-6408). For closer proximity to town, try Palo Duro RV Park (806-488-2548). Ten years ago, Canyon residents would drive 15 miles north to Amarillo on Friday nights for entertainment or dining. These days, Amarilloans are as likely to drive south to Canyon, where a visit offers plenty for a proper weekend break—from unforgettable views to surprising dining experiences in this resurgent small town. For years, visitors wanting to wake up to views of Palo Duro Canyon were limited to tent camping or one of the rustic old cabins managed by the state park. Then Jeff Means arrived after decades in the hospitality world. He moved into Palo Duro Canyon Estates, a small residential development overlooking the canyon south of State Highway 217. On a whim, Means listed his new two-bedroom house on VRBO. “It was like someone opened the gate,” he says. The home booked up, week after week. Seeing the response, the home’s builder, Mike Standefer, began renting his own home. The duo saw a business opportunity. 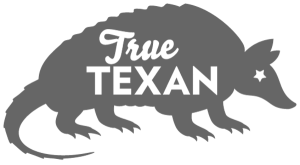 Today, Doves Rest Cabins offers nine luxury homes on the rim, the only private vacation rental accommodations overlooking the park. In 2016, one of these cabins—the SkyHouse—was the most popular vacation rental on Homeaway.com. No matter the season, guests from as far as Austin or San Antonio decamp here for the scenery and solitude. Reserve your cabin early. Then settle in, step onto the porch, and take in the fresh air and the canyon panorama—and keep an eye out for the aoudad sheep that roam nearby. Back in town, dive into Canyon’s burgeoning culinary scene on the square. The exterior of the 1909 courthouse—once a candidate for demolition—saw renovations in 2010. That and a 2014 vote to allow liquor sales in this formerly dry city kick-started a downtown revival. One highlight is Imperial Taproom, an imaginative eatery opened by Canyon native Ben Johnson not long after the liquor ban lifted. The food is locally sourced when possible—the Panhandle is the beef capital of the world, after all—with a rotating selection of 22 drafts from craft brewers in Texas, Colorado, and beyond. In 2017 and ’18, Craftbeer.com readers proclaimed Imperial Taproom the best beer bar in Texas. Grab a booth, and order a pint and the chef’s special. Keep an eye on the clock, though, because you’ll want to return to Doves Rest and the canyon rim by sunset. Every college town seems to have a hip coffee shop, but Canyon is particularly proud of Palace Coffee Company. In 2011, owners Patrick and Krystal Burns opened across from the courthouse in a vacant historic building—the first new business on the square in years. Soon after opening, the shop burst onto the national and international coffee scenes, culminating in a win at the prestigious America’s Best Coffeehouse competition in 2014. The company’s reputation has only grown from there. In the barista world, the Burnses and Palace are famous. In Canyon, they’re simply beloved as a catalyst for the square’s transformation. If you have time, head a few blocks north to US 60 for a look at Tex Randall, Canyon’s unofficial mascot and one of those midcentury attractions crying out to be Instagrammed. Built in 1959, Tex is a 47-foot-high, 7-ton steel cowboy who was given a paint makeover in 2016, complete with a dip can outline in his back pocket. Then make your way to the Panhandle-Plains Historical Museum, located on the WTAMU campus along Fourth Avenue. The largest history museum in the state, it boasts millions of artifacts and artworks, from Native American art to firearms owned by legendary cattle rancher Charles Goodnight. 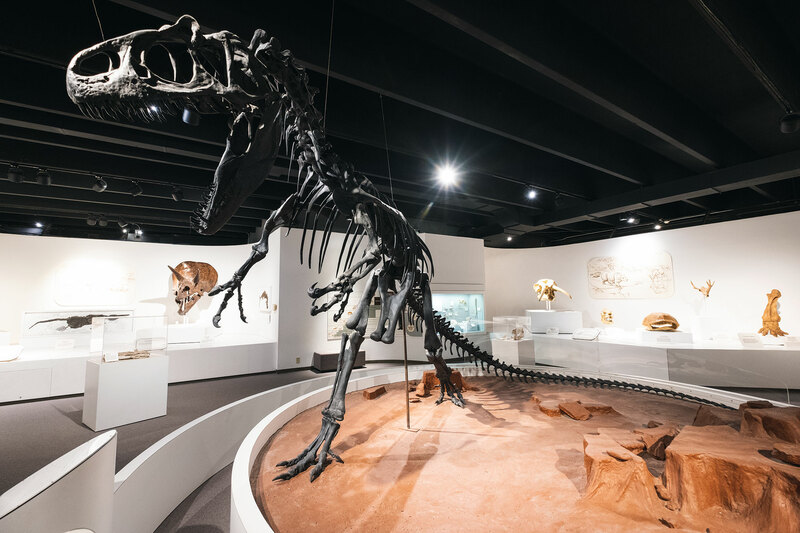 The museum’s diverse permanent collection tells the rest of the area’s story, from dinosaurs to oil derricks, while Pioneer Town offers an immersive experience with a reproduction of Panhandle homes and businesses from 1890-1910.
Who knew a history museum could build up such an appetite? After taking a break—or a nap—at Doves Rest, head back downtown for another restaurant that, 10 years ago, simply wouldn’t have been possible in dry Canyon. Barrel & Pie serves wood-fired pizza and craft cocktails at the south end of the square. It opened in 2018, the brainchild of Canyon High School graduates Kevin Friemel and Marcus Snead, a classically trained pastry chef who learned the trade in New York City and Chicago. “I look out from my dining room now, and it doesn’t feel like Canyon,” Snead says. Neither does the menu. Start with a small-plate appetizer or charcuterie board, then await one of Snead’s melt-in-your-mouth pizzas, expertly crafted with hand-stretched dough and fresh ingredients. 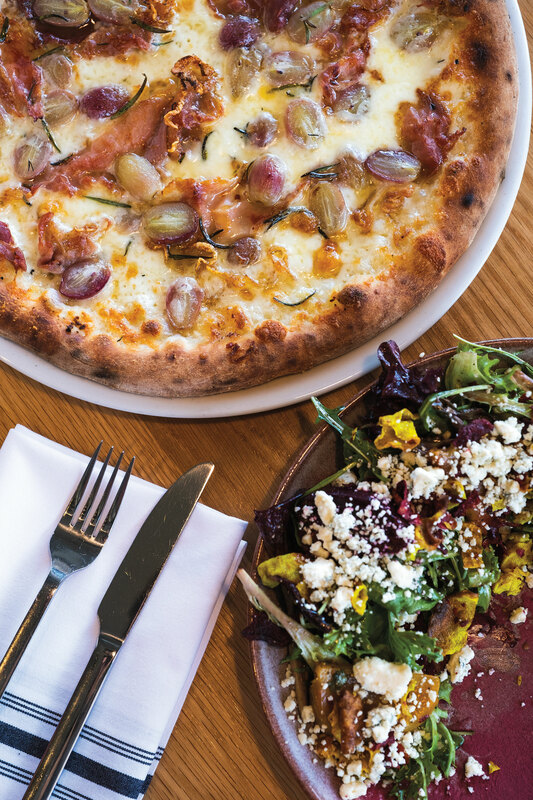 Try a classic margherita or the surprising flavors of the prosciutto and grape white pizza. For a nightcap, choose from a robust whiskey menu. A visit to Canyon isn’t complete without a trip to, well, the canyon. At the state park, an $8 entrance fee gives access to gorgeous picnic areas and about 50 miles of hiking, biking, and equestrian trails. The drive from the rim to the floor is epic in itself, but to truly experience this landmark, take to the trails. There are plenty to choose from. The Rock Garden Trail is one of the most difficult in the park, with an elevation gain of 600 feet as it climbs from floor to rim. This 5-mile round-trip hike winds around house-size boulders that feel like something out of Grand Teton rather than West Texas. 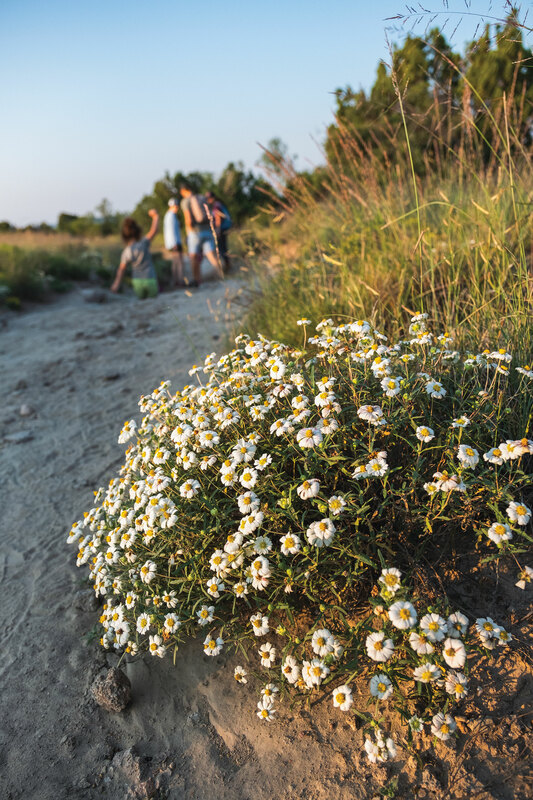 The 6-mile round-trip Lighthouse Trail is easier, but more crowded. It leads to the instantly recognizable Lighthouse rock formation, which has captivated painters and photographers for decades. In spring and summer, the canyon’s floor can heat up quickly, so pack the amount of water you think you’ll need—then pack more. You’ll want to stay hydrated as you explore the geologic wonder that gave Canyon its name and continues to enthrall its welcoming residents and visitors alike.